Hello, and welcome once again to my blog. I thought I would include a personal hints and tips guide to selling on eBay. Whether you already sell on there, are thinking about it, or have done previously, I hope I can give you a little insight into this huge selling platform. Love it or hate it, eBay is the ideal place to test out and sell your products, with little or no initial fees to pay until you sell your items. 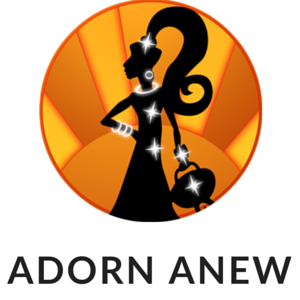 I have been selling there for at least 10 years, initially as a way to sell off my unwanted clutter, and now I run 2 eBay Featured Stores, Adorn Anew and Bitz N Bobz both Top Rated with 100% positive feedback. I have seen it change, from what was a car boot style flea market to an online selling marketplace with companies such as Argos, Debenhams and Ann Summers all having eBay stores. There has also been a huge influx of Chinese sellers offering items for as little as 99p inclusive of postage to the UK, with the Chinese government offering them substantial postage discounts for exports. The competition is heavy with big hitters, so how can the small seller compete? It is a buyer’s market on eBay now, with money back guarantees and on time delivery metrics which penalise the seller for late delivery (not dispatch). If you do not provide tracking for your items, the buyer says it was late, you are penalised. Auction selling is almost dead in the water. Great for the buyer, but not the seller. Sniping tools, and last minute bids add up to bargains, not profits. The best current way to sell is “Buy It Now”, I always give a margin for “Best Offer” on my vintage and preloved items, which attracts buyers. I offer Free Postage where I can, and always make a UK Next Day Delivery option available. So how can you make money on eBay? I am drawing on my personal experiences here, and there are plenty of links I can furnish you with that will help. I am showing the key points that can help you out in this overcrowded and challenging marketplace. 1. Niche Market or Hot Items such as collectibles, vintage or handmade items that have little competition and are unique. Build a reputation for these items. Alternatively, do your research on current trends and pile high and sell cheap. Be wary of overstocking and be aware that trends can change easily. 2. The eBay search engine has changed to “Cassini” which prefers new and multiple listings, so if you sell unique items, you will have to use SEO (search engine optimisation), share your items on social media, and make sure you have a google plus account to share on, as eBay has fallen out with google and you will not appear in Google search unless you engineer it yourself. 3. When listing make sure that the first 3-5 words of your title summarises your item, and pad the description with the remainder of your title. That’s why a lot of titles don’t seem to make sense on eBay. 4. Fill in the Item Specifics to the hilt. Make sure you include size, colour, anything that would describe your listing to be seen on the Mobile App. Photograph with a ruler or tape measure in at least one photo. Avoid stock photos and use as many of your own photo’s as possible making sure they are uncluttered and free of any wording or labelling. Always tag your photos!!! 5. Make sure you know what you will be charged. Listing fees, final valuation fees, Paypal fees, and additional fees should you choose to add listing options. If you offer free postage build it into your cost price. eBay charge 10% even on what you charge for p&p. 6. Offer a returns policy, good customer service, package your items well, enclose a compliment slip or card, always leave your customers feedback, and you can build a lovely returning customer base. 7. Always watch what eBay are changing or amending, as this can have a dramatic impact on your business. Be aware, you are sometimes told “after the fact”. If you notice a selling pattern change, check the community boards or contact customer service. You will find out what is happening. You can make a living on eBay. It is possible, but requires hard work and dedication. You are a guest on their site, so they do have a say in how you run your business on there. The site can go down, you can become invisible, but you can earn money. I’ve popped some further reading on here as a help, and I hope you have found this informative, there are links to everything here from fees to conspiracy theories Please note that most of this is from personal experience and should never replace professionally sought paid for advice.